With lots of stuff happening in the soccer over the past few days, let's go. - Chase Harrison is the new back up goalkeeper for DC United. 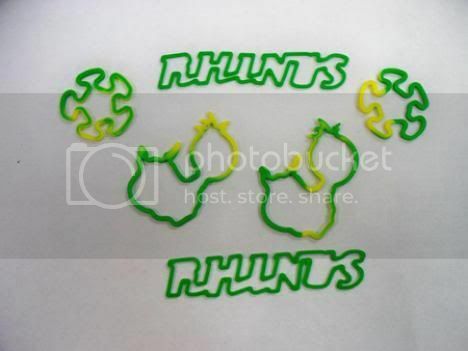 - My kids loved the silly bandz and I loved the Rhinos 3-0 win on Saturday night. With Austin's 3-1 loss in Puerto Rico, the Rhinos are back on top of the playoff standings. - Devo liked the USL Pro League announcement. The interesting thing to me is that if the USL Pro League is a 3rd Division league, the top 4 teams in the USSF D-2 Pro League today could be playing in different divisions in 2011 with Rochester & Austin appearing to be leaning towards the USL Pro League and Portland and Vancouver jumping up to MLS. - The 24th Minute thinks that the NASL has won this tug of war. I think it's way to early to call. - Here is the view of the announcement from Richmond. - Even Fanhouse had a piece on the announcement and what it means moving forward. - Inside Minnesota Soccer.com had an article on the future of AC St Louis that got Jeff Cooper to respond on the record. While this topic got old last off season, it's obvious that it sparks discussion which is always good for business. - Speaking of Portland and Vancouver, they both clinched playoffs spots over the weekend. - Steven Goff of the Washington Post is reporting that the Buffalo Flash will jump from the USL's W-League to WPS and they will play some home games in Rochester. I wonder what the odds are that a Flash-Washington Freedom game is played in Rochester? - Dan Loney has his take on the most popular MLS billboard on the internet in the past week. I think the Timbers buying a billboard in Seattle is classic. - Dema Kovalenko is getting some love with the Galaxy. - Briana Scurry & Eddie Lewis are hanging up their boots. - Thierry Henry isn't the only Red Bulls DP that rides the train. - Work has begun on converting PGE Park from a AAA baseball stadium to an MLS stadium. - The longer this drags on , the more likely it is that DC United could be leaving the DC area. That would be sad. - Grant Wahl has a mail bag up at SI.com that starts with an interesting idea.